Ken’s Fiery World Talks About Campbell Gardens Candied Jalapeños and Frogbone Cajun Sauces on The Firecast Podcast! Well, after a summer hiatus, Scott is back with all new Firecast Podcast episodes! And in this episode I review the delicious candied jalapeños from Campbell Gardens and some spicy preserves from Frogbone Cajun Sauces! And Scott entertains with his usual fiery goodness, and definitely check out his interview with the highly talented and great folks at Jersey Barnfire!!! Hope you enjoy, ladies and gentlemen. And remember, It’s a Fiery World!! Austin D’Almeida and John Sauchelli of Jersey Barnfire Hot Sauce join Scott on the Skype chatline and describe their unique approach to make flavorful sauces. 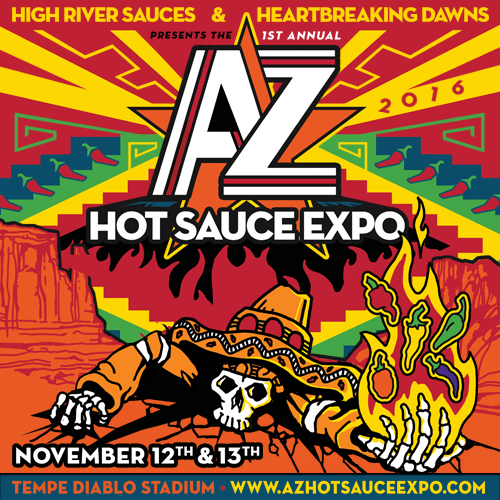 Ken Alexander takes a turn to review some spicy products, and Scott covers Elijah’s Xtreme Ghost Pepper Sauce.